In a previous post I showed you how to set a static local IP on Armbian. However, there are situations where IP address assignment cannot be done on the device itself. This is the case, for example, of many smart devices such as the Yeelight smart lights, where it is not possible to set a static IP address using the manufacturers app. 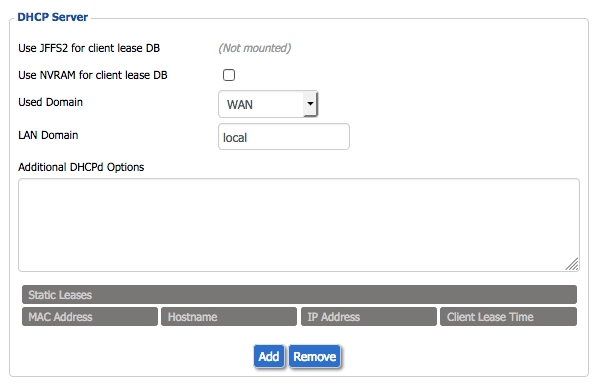 For cases like this, the best option is to configure the static local IP directly on the router. This is done via Static DHCP (also known as DHCPreservation) which is a feature that makes the DHCP server on your router to always assign the same IP address to a specific device on your LAN. 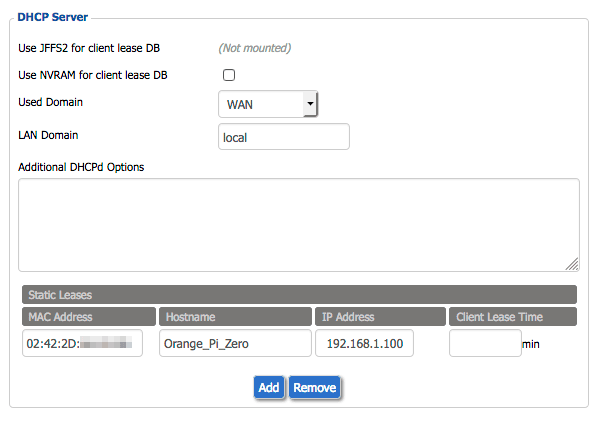 In this post I will show you how to do it on a DD-WRT router assigning a static IP to an Orange Pi Zero without making any changes to the device itself. First we need to know the MAC address of the device. 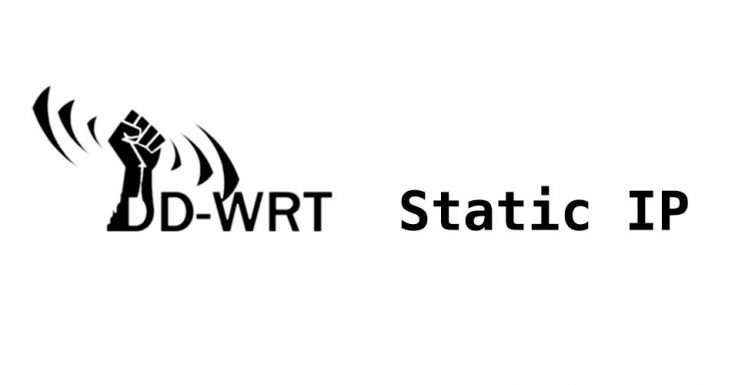 We can get it from the DD-WRT router interface (by default is 192.168.1.1.1): navigate to ‘Status > LAN’ and you’ll find your device on the ‘Active Clients’ section. Another way to find the MAC address is using a network application such as Fing. Once you know the MAC address of the device, navigate to ‘Services > Services’ and in the ‘DHCP Server’ section click on the ‘Add’ button. Enter the MAC address, a meaningful device name, and the IP address you want to be assigned (leave the Client Lease Time blank). Then, click on the ‘Save’ button at the bottom of the page. You must click either on ‘Save’ or ‘Apply’ button each time you add and fill out a new static lease. Because clicking the ‘Add’ button refreshes the page without saving what you entered. Clicking on the ‘Remove’ button remove the last static lease entered. Unfortunately, it is not possible to remove previous static leases. When you have finished assigning all the static IP addresses, go to the ‘Administration > Management’ page and click on the ‘Reboot router’ button at the bottom of the page. It would also be a good idea to reboot the device for which you have assigned a static IP address. The first Dundee Unity User Group meeting has been a great success! Booty Quest won the TIGA 2018 award for ‘Best Puzzle Game’!